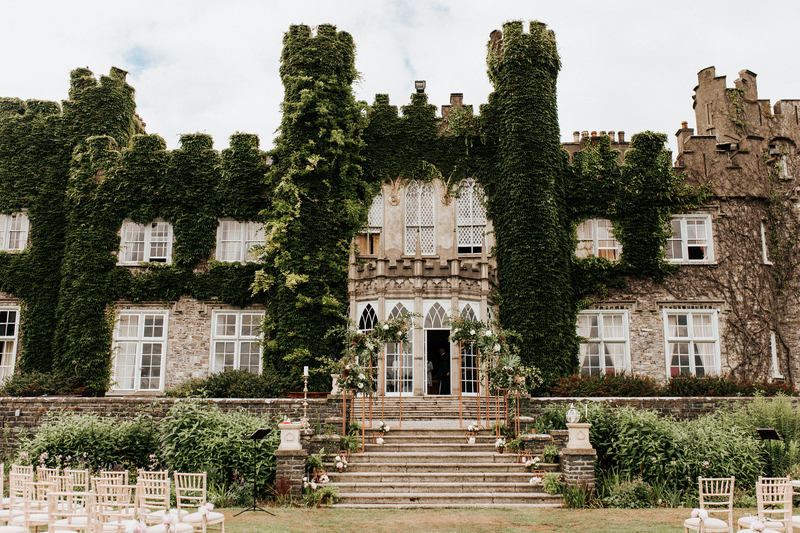 This was such a beautiful wedding at Luttrelstown Castle for the gorgeous couple, Aissa and Kevin. 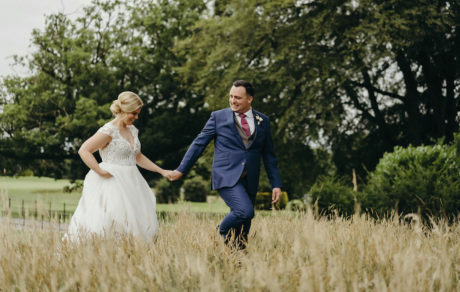 We could tell by the way they looked at each other they were so madly in love and we were so blessed to have played a part in their special day! 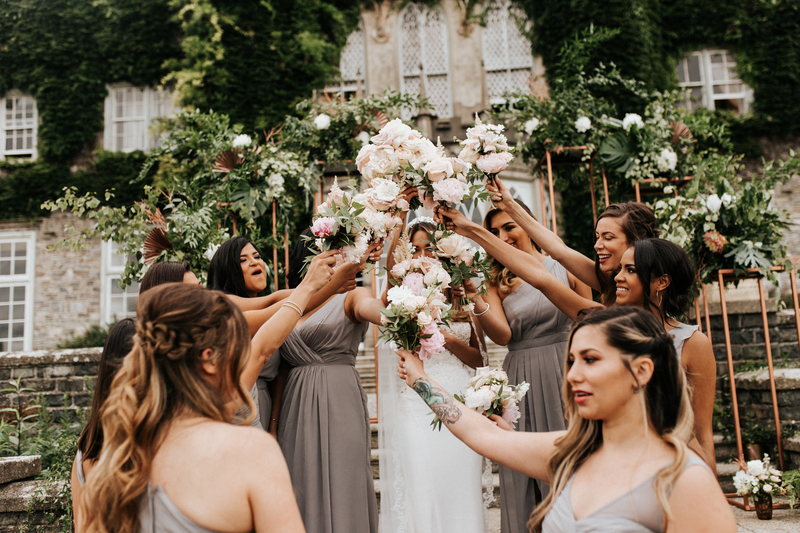 Our fabulous team of expert florists and designers created the most beautiful floral installations for this stunning ceremony using vibrant green foliage and beautiful white flowers. 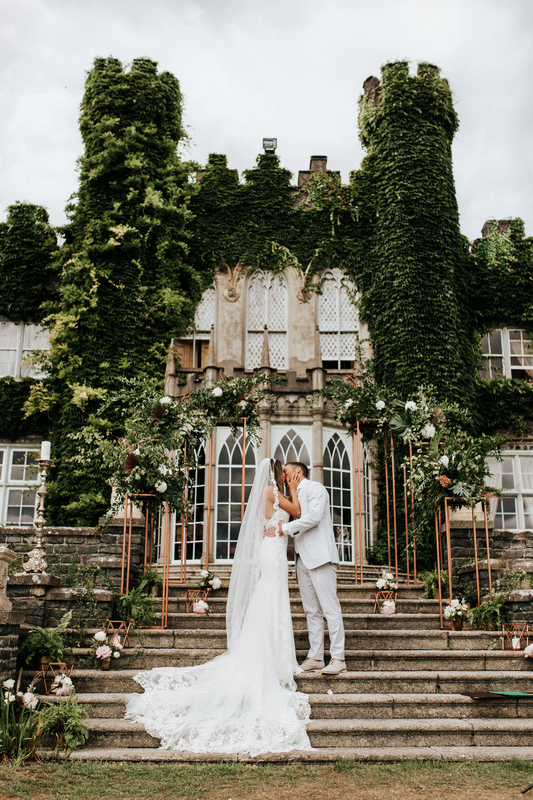 We love the modern edge geometric stands bring to this charismatic setting and how our gorgeous floral installations compliment gorgeous greenery of this stunning venue, simply beautiful! 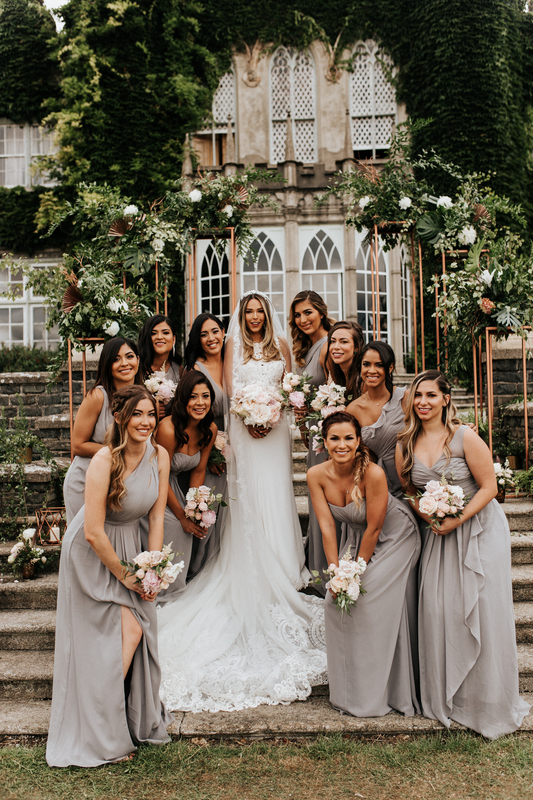 The bouquet’s that the gorgeous Aissa and her bridal party carried featured a mixture of soft and delicate textures and colours, designed by our team of florists. 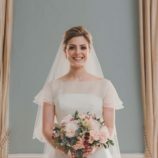 We love the soft sultry notes of white, peach and pink; romantic, elegant and simply beautiful! 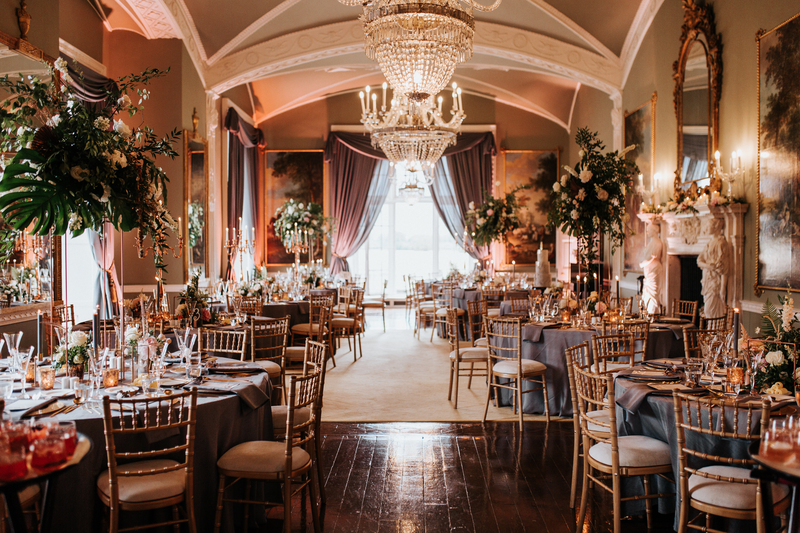 Luttrelstown Castle has an air of historic grandeur and elegance throughout each of its stunning rooms and we wanted to accentuate this with a striking combination of decadent mixed metals and luxurious linens. 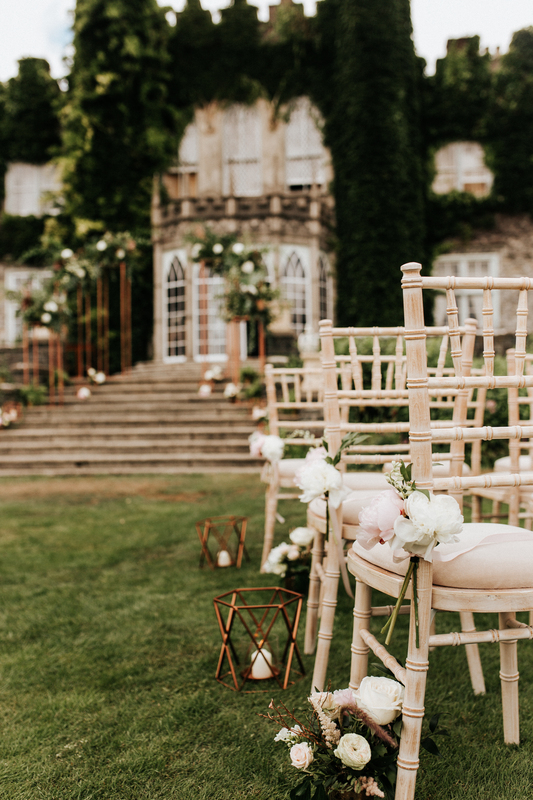 We used stylish chiavari chairs that tied in perfectly with the elegant setting and added a modern, stylish twist with our hand crafted floral centrepieces that were raised above the tables using our design led rose gold geometric stands. 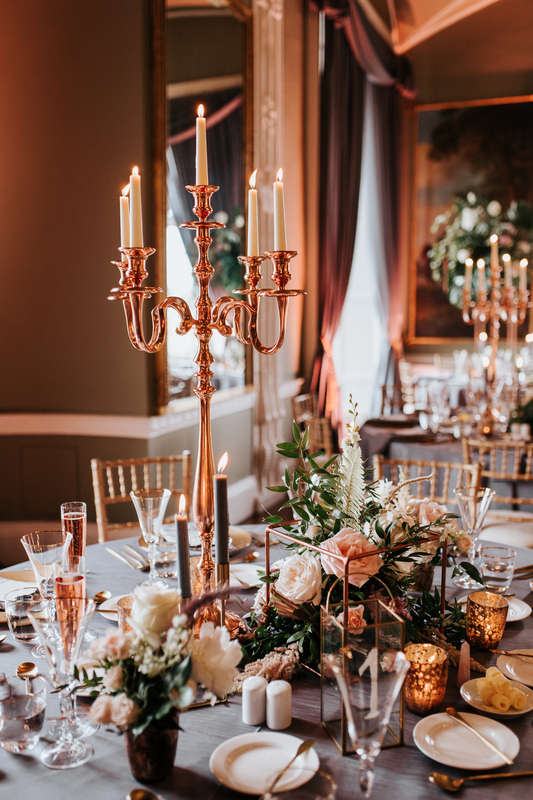 Rose gold candelabras and geo cubes were the perfect accessories to pull everything together in this characteristic and design savvy space! Our luxurious dove grey linens contrasted beautifully with our textured LED gold charger plates and brushed gold cutlery, tying in effortlessly with the gold rimmed glassware and the mixture tapered candles and gold tea light votives that we dotted around the tables to cast a whimsical glow, creating a magical, warm and inviting atmosphere in this gorgeous venue! 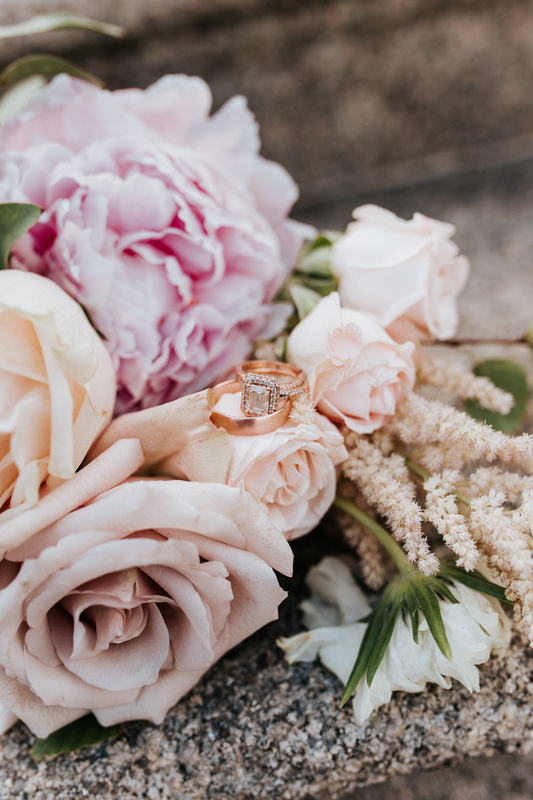 We absolutely adore this image featuring a perfect custom neon sign that we installed for the happy couple Aissa and Kevin, that we dressed using our design led rose gold geometric stands topped with wild organic floral arrangements! 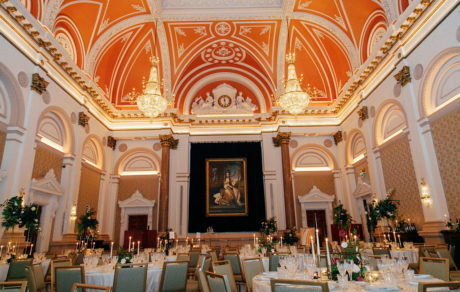 Our chic gold-framed blush furniture fit in just perfectly in this luxurious and stylish space.